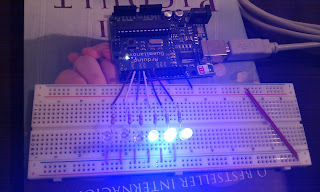 thy.KB: My Arduino Hello World! I finally got to try out my Arduino. 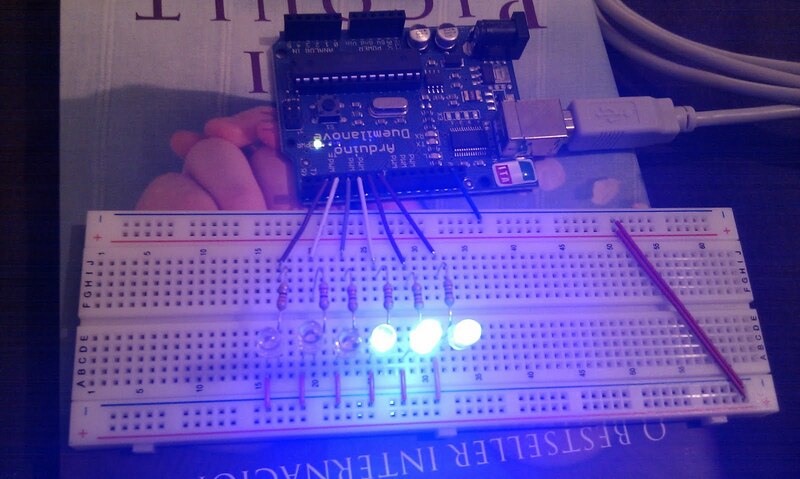 I decided to follow the 'Array' sample, on which Arduino lights up some LEDs in a sequence. So, I altered the source a bit to make my 'Hello World' as a 'KITT Sequence'.